Apology songs show us that messing up is pretty much universal. Imagine you're an artist or songwriter, can you think of a better topic for a song than saying sorry, apologizing, or letting someone know that their apology fell flat? Artists have brought their Art to our favorite *topic* for decades. So when we ask what do Timbaland, Cher, Chicago, John Lennon, Eminem, One Republic and Justin Bieber (to name just a few) have in common, you know the answer. They've all written or performed songs about apologizing, being sorry or having feelings of regret and remorse. Most of the songs include the word sorry, apologize directly or indirectly, and describe difficulties in personal relationships... and sometimes the lyrics sing (pun intended) to us in a way that just sticks in our head and our hearts. So no matter what your situation, our list of top apology songs should hit the mark, and if for some reason you're sorry but not really sorry then Demi Lovato has the perfect song for you. Although Demi will never divulge who the songs about, many have adopted the song as their personal anthem. The next apology song by Chicago is a few decades old but contains some beautiful lyrics that are as relevant today as they were when Hard To Say I'm Sorry was first released in 1982. Hold me now, it's hard for me to say I'm sorry. What do you think Cher was referring to when she belted out how much she wanted to Turn Back Time on board the battleship USS Missouri? This next one by Timbaland & One Republic should have probably been at the top of our list, is it Too Late to Apologize for not placing it first? Taylor Swift's Back to December is next on our list of emotional and heartfelt apology songs. It's a remorseful plea to be forgiven for a break up with a former beau. According to Ms. Swift, it's the first time she apologized to someone in a song. Sorry Seems to be the Hardest Word is an Elton John classic. It's a mournful and remorseful ballad about a romantic relationship that you want to save from falling apart when deep down inside you know that it already has. Eminem's Cleanin' out my closet is all about venting anger for the way he was raised while he offers a less than credible apology to his mother for hurting her. He then goes on to tell everyone what he really thinks of the way he was raised by her. Now that we've rounded up some of the best songs to apologize and say sorry with, what's next? 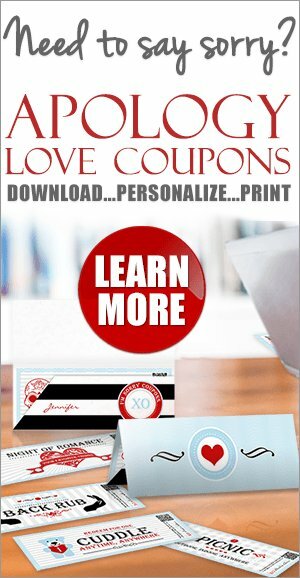 Why not create a custom playlist of love and apology songs. Tape yourself and make the first track on the playlist your personal apology and dedicate the rest of the songs to your relationship and love. Listen to the songs together in the background while you talk things through or if things are still very tense, sneakily add it to their existing playlists to try and relieve some of the tension. 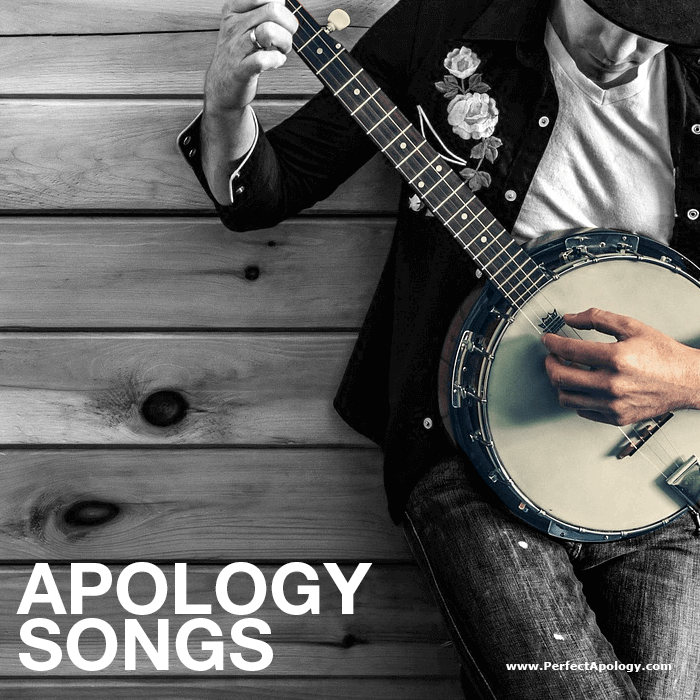 No matter what bad situation you find yourself in, these are some of the best apology songs to help heal, make amends, show regret and express your desire for forgiveness.